Buy a house... get a ranch! The residence at 7200 Granite Creek Road is nestled amongst the trees on 4.59 acres on the bank of Lake Creek. 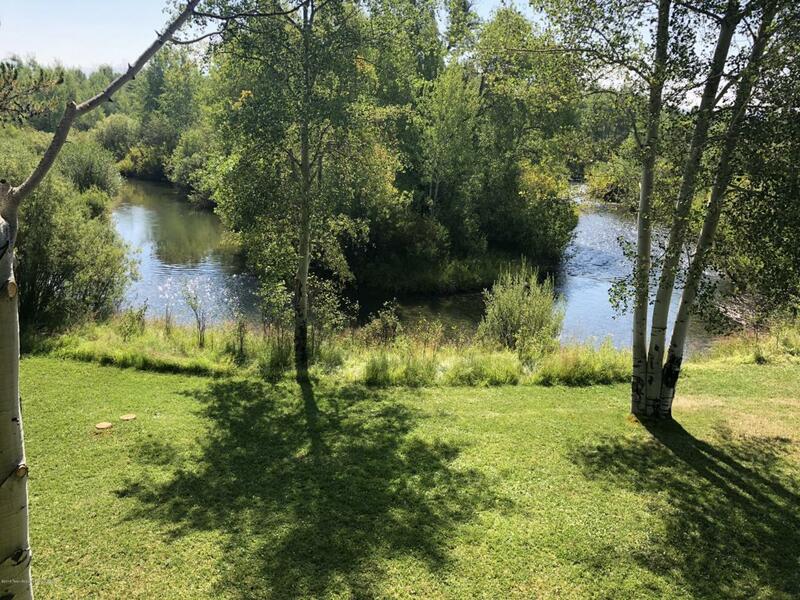 With your purchase comes an undivided interest in 360 acres under easement with the Nature Conservancy.Enjoy your morning coffee while taking in views of Lake Creek from your breakfast nook or walk to the barn nearby to saddle up your horse(s) & ride the ranch or walk along the Snake River & float a fly. Moose, elk & deer frequent the island just across the creek from the house. Abundant wildlife moving through all year-round. Filtered view of the Grand Teton. Listing provided courtesy of James Mathieu of Contour Investment Properties.